This is the second time I almost missed the simbang gabi due to oversleeping. It is because I am still quite sick with sore throat. But I can still manage to sing and even speak but there would still be a stinging feeling every time. Luckily I realized that another perfect venue to attend the mass would be at the Archbishops' Residence in Villa San Miguel which is near shaw boulevard and Nueve de Febrero. One of my most favorite songs from the Bible is Mary's song of Magnificat. The song that praised and honor the glory of God as the savior and the light of the troubled world. The song was sung by mary as she conceived in her womb Jesus who is the Messiah and brought the good news to the world. And on the seventh day of Misa de Gallo, I now found myself in a new church that I would only view from afar but unable to get inside and attend mass. This Parish was the San Roque Church located near Boni Avenue and also close to the office where I decided to go and check out this parish that I have passed many times but never go the chance to explore the church with a very high structure. Super Tuesdays on the All NEW & Exciting AXN Beyond! Get set to be blown away by the latest drama and entertainment shows on an all new, all awesome AXN Beyond channel. More than ever, viewers from the Philippines will enjoy a fresh and unrivalled programming line-up Tuesday nights across a newly-expanded spectrum of genres, as AXN Beyond refreshes to redefine the entertainment experience like no other. I have to admit that being too busy with a lot of this just stress me out and what I do need more right now is time. However I am still very thankful for the blessings that I have received within this year. Time indeed is a very important thing that we cannot never get back. So that has been by philosophy in life to live it to the fullest and enjoy its fruits without affecting anybody. Now I am at my sixth day of the Misa De Gallo and I just had my first part of my medicals on this day. I chose to spend the rest of the day off at the mall and do some wifi. I am also pressured with the fact that I need to finish music pieces for the stage play in January. This time, I was able to visit the Archdiocesan Shrine of the Divine Mercy in Mandaluyong. The shrine is known to also have the relic of Sister Faustina, in which Jesus revealed himself to her and journal every encounter in her diary. For the second time, I almost woke up late but I was thinking of going to another church to see what experience and message will he give to me during the dawn masses. Now that I am on my fifth day and the days goes by so fast, I decided to complete the simbang gabi with different churches. Its really hard especially with limited time and also searching churches and the schedules which varies and could cause me to be late or else. 2010 Is Where AXN Becomes The No. 1 International Channel in Southeast Asia! For many years now, AXN has been claiming the top position as Southeast Asia’s leading international channel. Especially in the key markets of Singapore, Malaysia and the Philippines, viewers have embraced AXN as one of their favourite entertainment destinations. As the year 2010 is coming to an end, AXN once again cements its position as Southeast Asia’s number one international channel, averaging 10.2 million viewers every month to take the top spot in results tabulated from January to October 2010. Malaysia, in particular, is a star performer. Not only is AXN the top international network, it is also the most-watched channel on Astro, leading in average monthly viewer reach at 5.9million. Amongst English channels, AXN beats the next closest competitor in primetime ratings by 24%, and out of the 14 first-run shows that AXN aired in 2010, 10 premiered at the top of the ratings chart. 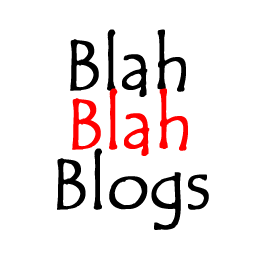 Blah Blah Blogs: Pasko na! Boom Tarat Tarat! Mula sa mga manunulat, editors, scriptwiters, lightmen, soundmen, PAs, make-up artists, sponsors, contributors, fans, stalkers, guests, mangers at executive producer ng Blah Blahh Blogs, kami (ako) ay bumabati sa lahat ng tao sa buong sangkatauhan sa kadaigdigan ng maligayang Pasko at masaganang Bagong Taon sa inyong lahat. Hep hep hep! hindi pa tapos ang taon, pero gusto kong batiin kayong lahat upang kahit paano ay maramdaman niyo naman ang diwa ng pasko. Iwasan na ang pagiging depressed at 'wag kariririn ang pagiging SMP. sinasaktan niyo lang ang sarili niyo. Sa mga kapwa kong agents at mga nagtratrabaho sa call centers at 24 hour never-we-will-we-close stores tulad ng Mcdo at Starbucks, mas masayang isipin na ang araw na ito at double pay. 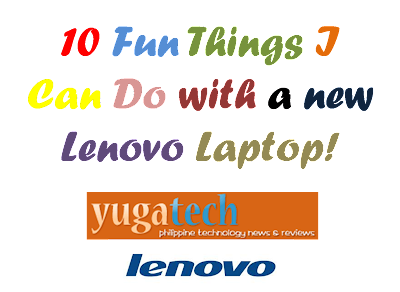 Given I would be given a new LENOVO laptop, what would be the 10 fun things that I could do wit it. I made a list of thing you can do with this neat gadget that is a perfect Christmas gift for all! This is my official entry to YUGATECH's Lenovo contest! The fourth day of simbang gabi happened with the parish where I started last year's simbang gabi, The Most Sacred Heart of Jesus Parish in Sta Mesa. Its actually one of the most accessible churches since its near my place. Although I am not a regular parishioner as I go to different churches for mass. But I do appreciate that this hundred year old parish has its share on my spiritual life.Day 4 was actually considered a regular Sunday mass according to father. And this was after I went to the company Christmas party in SMX and also another High School Friends' Party. Though never intoxicated but just stuffed with a lot of food and fun from the parties, I still reminded myself of my obligation to complete the simbang gabi. Because of the events, I never got the chance to sleep or even nap since I am running out of time and also options. 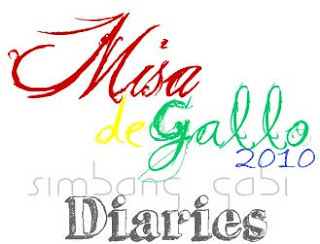 But I did expect that I would visit the parish in this year's Misa de Gallo. Misa De Gallo Diaries 2010 Day Two: Unexpected Serendipity. I almost missed the second day of the Misa de Gallo when I woke up at exactly 4:10, ten minutes late for the 4pm mass at the nearby Our Lady of Fatima Parish, but I had sudden reflex that I can catch up on another church that I can go to. It was the EDSA shrine. since I know that they have the mass at 4:30 so I do have a few minutes to commute there. Though I have computed the time that it will be exact given I dont wait and there is less or no traffic since it so early in the morning. I took a jeep to EDSA and then a bus going to ortigas Robinsons. One surprise for me is to see one of friends Kuya Lei O Lap on the bus with his friend, I knew that they will also go to EDSA shrine since I also encountered him last year at the same place. Coincidently, it was funny though we never talked during the trip and also at mass, that I also find people who are also into the spirit of the simbang gabi. There is truth in the saying “no pain, no gain,” and Filipinos, more than anyone else in the world, best exemplify that pain is a symbol of perseverance, strength and courage. We are, after all, known globally as hard-working people who strive for excellence in whatever we do. Time and again, we’ve witnessed how Filipinos wear their pain with pride and honor, as badges of jobs well done. Often, simple workers—such as those who toil under the sun, teach children in rundown classrooms, sew hundreds of garments a day, and go through much pain and sacrifice—steer the country towards the future. They are the true heroes of the country. It is these amazing, hardworking Filipinos, who accomplish even the most ordinary tasks with extraordinary dedication, that Alaxan FR lauds and salutes with the “Aray Ko Galing Ko” campaign. 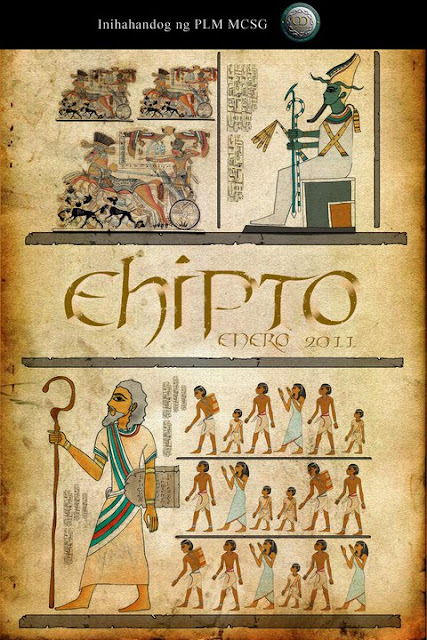 Ehipto, the new masterpiece of Magwayen Creative Scholars Guild, will be staged at the Manila Metropolitan Theater on January 29 and 30, 2011. This curtain-raiser will be the guild’s grandest and most ambitious production to date. And what could be the best platform for this other than the “grand dame” itself, the Manila Metropolitan Theater?! Magwayen, a student based theater organization, resides at the Pamantasan ng Lungsod ng Maynila, the foremost university for the Manileno scholars. For the past 12 years, the guild has been performing at the university’s Justo Albert Auditorium. But for its biggest project, a play that will try to stage few of the Bible’s most majestic miracles, the members looked for a place that is more awe-inspiring. And that is where the MET comes in. CCIts PBA time again, Philippine Blog Award that is. And this time it was held at the RCBC tower in makati. I realized that this place was nostalgic to me because 6 years ago, this is also the place where I got my AY Foundation Award for National Discipline, but anyway going back to PBA, it was unfortunate that I was late for the event. But I was able to meet and greet the blogger winners and also friends who witnessed the event. Now let me share the winners for PBA this year! I remembered almost 10 years ago that my first mobile phone ever is a 5110 (with antenna) and always wondered what the future holds and what things that will be new with the future mobile phones. Though not really a text addict or a serial caller, I always find a mobile phone as a thing of many uses and features that gets better and better each year. True enough, from the colored phone, to bluetooth, to camera and radio integration and now the age of the expanded mobile internet lifestyle wifi and applications, and there are thousands out there! 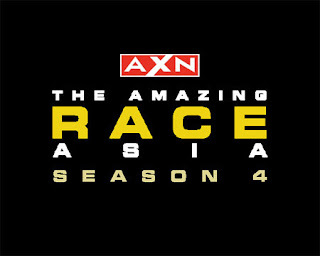 Will Team Pinoy Emerge as the winner of Amazing Race Asia? It’s the final showdown in the upcoming finale episode of The Amazing Race Asia (TARA) Season 4! Coming head to head will be the youngest team in TARA history versus the first father-and-daughter team versus the super athletic best friends, Richard and Richard! Smelling victory at hand, the teams have upped the game and kept fans teetering on the edge of their seats, as they race neck to neck and check in at stops within minutes of one another! With the last leg of the race taking place in Singapore, it is the unlikeliest of teams that have made it to the final three that will fight for the first place in TARA 4.